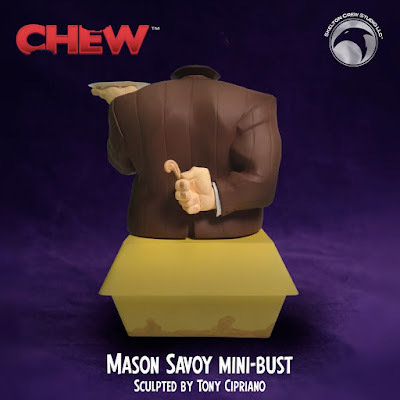 Skelton Crew Studio has announced the third statue in their popular line of CHEW mini busts, and it’s the massive cibopath, Mason Savoy! 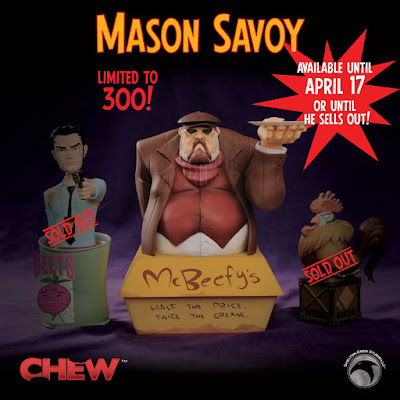 Based on the popular Image comic book CHEW by John Layman and Rob Guillory, this officially licensed Mason Savoy resin statue stands 7.75” tall and features a McBeefy's burger box base with some of Rob's trademark CHEW-isms written on it, like “Half the Price. Twice the Grease”. Savoy comes holding aloft a platter with poor Evan Pepper's finger in his left hand, and in his right, he's gripping Tony Chu's torn-off ear. 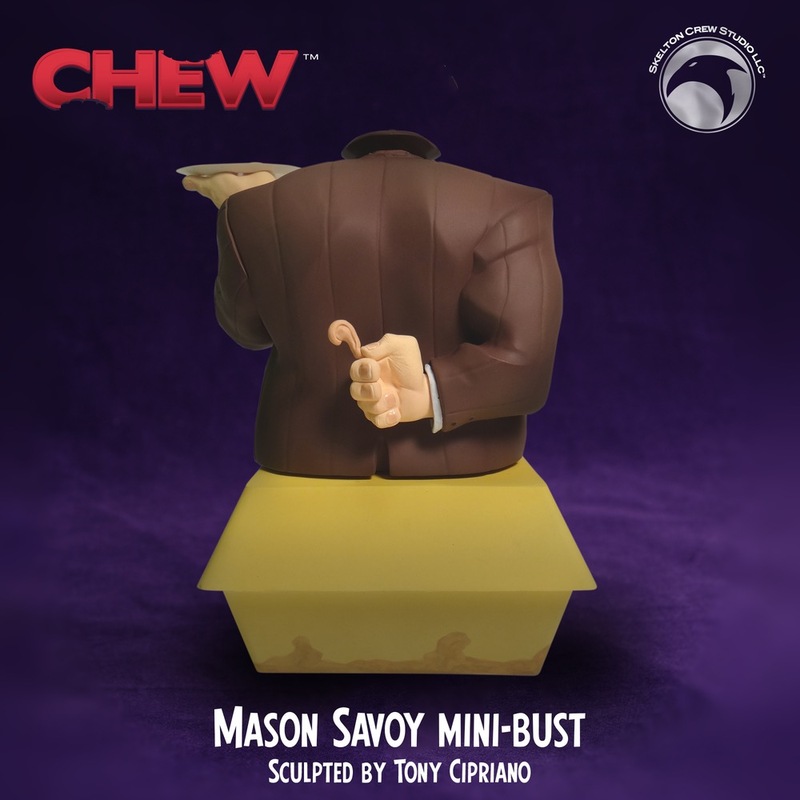 The CHEW Mason Savoy Mini Bust is limited to just 300 hand numbered pieces and is only available for one month or until it sells out. But here’s the kicker, today, April 17th, is the last day to order this awesome statue!!! 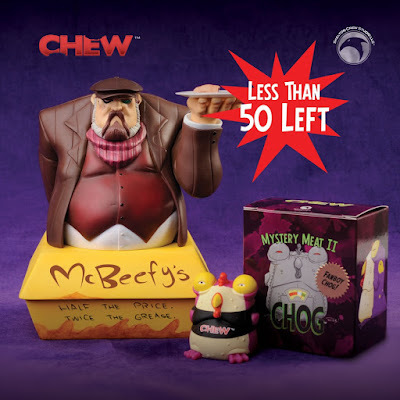 Each CHEW mini bust includes a Fanboy Chog vinyl mini figure, a Poyo enamel pin, and the recipe for Fatman Fricassee lovingly signed by John Layman and Rob Guillory. Collectors can pre-order one now at the Skelton Crew Studio online store for $125. But act FAST as only a handful still remain!! !